The purpose of this team is to coordinate a long-range program in the region to challenge racism and create an anti-racism agenda for the Region. 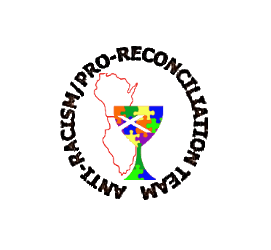 The vision of the Pro-Reconciliation/ Anti-Racism Team of the Christian Church in IL & WI is to respond to God’s call to be a fully transformed, anti-racist, multi-cultural church. By acknowledging that racism is sin and is deeply embedded in the systems and power of our institution, it is necessary that we claim as members of the Body of Christ, an anti-racist identity that reconciles, empowers, heals, and makes whole. Click here for more information on Reconciliation Ministry in the General Church (Disciples of Christ).